Services - Custom Software Development | Speech Recognition | Artificial Intelligence - Wesson Systems, Inc.
As part of our commitment to design, create, and market the very best speech-enabled mobile and desktop apps available today, we have assembled and lead a crackerjack programming team. These experts manifest broad experience across the various modalities of mobile app design, programming, and marketing. Let us create custom speech-enabled mobile and/or desktop apps for you, or add speech recognition or text-to-speech to your existing apps, or just do you a bang-up new app based on your own needs and desires. Please fill out the form below to send us a short description of your wish lists and/or design thoughts, so that we can begin a thoughtful dialogue about how Wesson Systems Inc. might help design and build an app for you. We will, of course, enter into a mutual NDA (see sample below) to insure that your concepts and proprietary ideas remain protected. 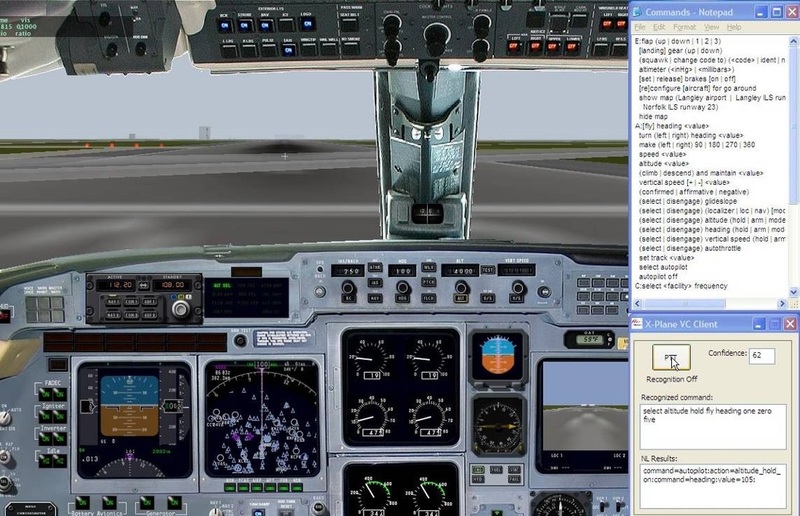 Abstract: The wealth of information available to the general aviation (GA) pilot has led to increased cockpit workloads which detract from the real-time situational awareness. As an addition to traditional (manual) systems control, speech recognition may offer more direct access to cockpit functions. In this research project, we designed and demonstrated a voice-activated cockpit (VAC) prototype. We 1) determined which GA cockpit functions can and should be voice-activated, 2) crafted a new BNF grammar for the chosen VAC functionality, 3) adapted an existing speech recognition demo system to VAC, 4) demonstrated and experimented with VAC using a flight simulator, and 5) designed, built, and flew a VAC in a real test aircraft. We achieved acceptable recognition performance and identified the next steps necessary to optimize and transform this prototype into a certifiable new product category for GA.
Dr. Wesson was hired by Real Thing Entertainment Ltd., under contract by the Victorian Department of Justice in cooperation with Multimedia Victoria, for a feasibility study for a language translation device to be used in the Correctional Services environment. The device would enable the translation of questions and answers in guard/detainee interview situations, focusing initially on English-Arabic, English-Chinese and English-Vietnamese language combinations. The product would consist of a well-designed, production-quality software suite running on a suitably configured laptop computer. We also completed a preliminary market analysis and estimated it to be in excess of $1 billion, targeting Governments and Healthcare markets in Australia, the USA and the UK, and the rest of the world. 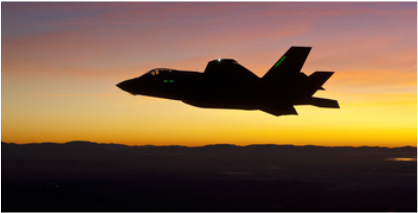 Lockheed Martin is the prime contract for the next generation fighter-jet known as the "Joint Strike Fighter" or JSF. Dr. Wesson helped design, develop, and deploy the voice-activated cockpit software for the JSF that runs on a microprocessor far less powerful that found in today's smartphones.